There are so many tomato varieties available to grow from seeds in the garden centres and from seed catalogues, it can be a bit confusing which ones are the best to choose. Some varieties are best grown outdoors, some will only produce a good crop if grown in a greenhouse and some will take longer to reach maturity than others. If you grow outdoors, the cooler your climate, the shorter your season will be. In other words, a grower in Scotland will have less time to grow outdoors than a grower in Kent, UK. This means that it is best to choose “short season varieties” – these are plants that mature early. Piccolo, above, does best in a greenhouse. If you choose a slow growing large variety for a short season area, it’s likely that you’ll end up with more green than red tomatoes at the end of the season. Each one of the following varieties has done well in my garden. 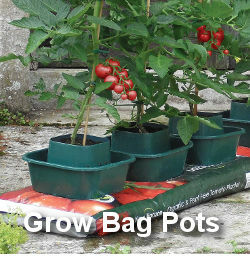 I live in the West Midlands and I’ve grown them in containers and grow bags outdoors. It is usually the case that cherry tomatoes mature earlier than larger varieties, partly because a larger variety has more growing to do to reach full size. 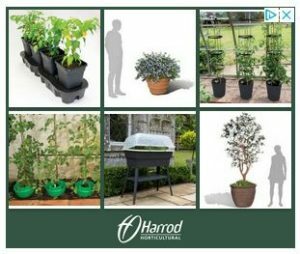 If you are growing outdoors many medium and large tomatoes will still be green by the end of the summer and if the weather has been disappointing, the only ones to succeed will probably be the cherry tomatoes. Tumbler F1 and Sungold are both hybrids which means that they are a cross between two other varieties. When two different varieties are cross-bred, the seeds from their fruit contain the first generation of a new variety – an F1 hybrid. F1’s are usually more vigorous than many of the old open pollinated heirlooms and heritage varieties, so are likely to mature early. It doesn’t mean that F1’s are better, it just means that they are likely to do better in a poor summer because of their vigorous growth. Having said that, Red Alert (open pollinated) can give Tumbler (F1 hybrid) a run for its money when it comes to earliness and taste! Some varieties have a resistance to certain diseases and this may be shown on the seed packet with the following codes: VFN. Some varieties are tolerant to Blight such as Legend, Ferline and Losetto. More recent varieties that are blight resistant include Mountain magic and Crimson Crush. Some tomatoes are resistant to physiological problems such as greenback and skin cracking. Another consideration when choosing which varieties to grow is taste. The sweetness of a tomato is measured with a Brix rating – the higher the number, the sweeter the tomato. Sungold has a high Brix rating and is probably the main reason why it is so popular. Moneymaker has a lower Brix rating and is the reason why many growers would rather choose Alicante or Ailsa Craig. Once you have grown a variety successfully for several seasons, you’ll begin to know its peculiarities and be able to give it individual attention. Not all varieties require the same amount of food, the same amount of root space and the same amount of sunlight to do well. One reason why Gardener’s Delight is so popular in the UK is because it has been grown year after year by the same gardeners and they have come to know its peculiarities and how best to grow it.